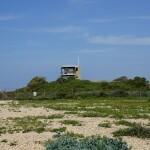 Browndown Military training Area (South): Viewed from the Stokes Bay entrance: Left is one of the rifle butts, middle is the lookout tower on top of Browndown Battery, Right are the hangers originally built for 200 Hovercraft Sqn RCT. Browndown Camp then used by Army signals unit, 63 (Special Air Service) Signal Squadron (Reserve). At the western end of Stokes Bay, beyond the car park at Bayside and No.2 battery, is Browndown Military Training Area (South). About 16 of the 156 acres were in Alverstoke Parish but the main bulk was in Titchfield parish, and formed the eastern end of the Titchfield Abbey estates which, after the Dissolution of the monasteries passed into the hands of the Wriothesleys, Earls of Southampton. In 1741 these estates, including Browndown, were sold to Peter Delme. A map of 1782 shows the area being used by the Light Infantry and the 16th Light Dragoons regiments. At this time 25 acres at the eastern end of Browndown were bought from the Delmes, with the intention of fortifying Stokes By with the construction of major works of fortification. This never happened. 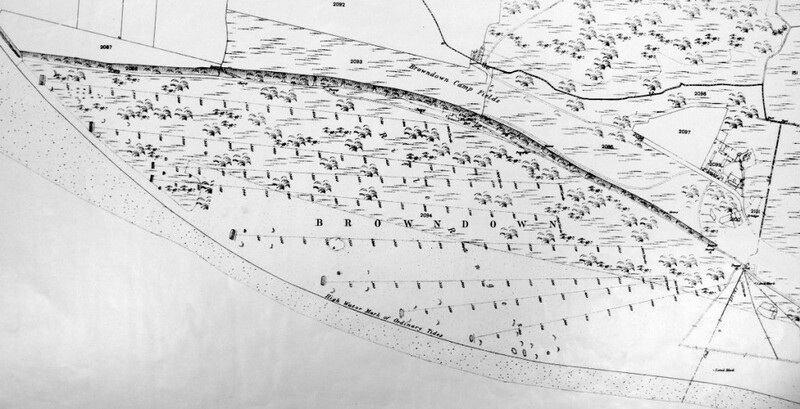 In 1839 the Ordnance Board decided to sell off most of the western part of its Stokes Bay land. 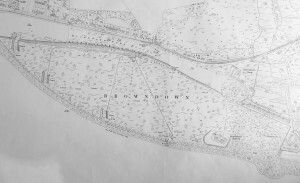 Most of the military land at Browndown returned to the Delme family but two small pieces went to the buyers of adjacent properties in Alverstoke parish. A decade later, when countering French aggression involved building new fortifications, the government had to buy back a lot of the land it had sold in 1839/40. This time (1851) it bought the whole 156 acres of Browndown – 125 acres from the Delmes, 13 acres from John Leveson Gower, and 17 acres from David Compigne. 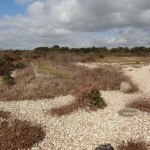 The camping ground at Browndown was situated above the beach and graveled area on level grassland overlooking the Solent. A small cliff seperated it from the beach. It was used in 1856 by the British German Legion or Anglo-German Legion, a group of German soldiers recruited to fight for Britain in the Crimean War. On August 3rd 1856 900 officers and men arrived at the camp. On August 4th 1,600 men arrived. 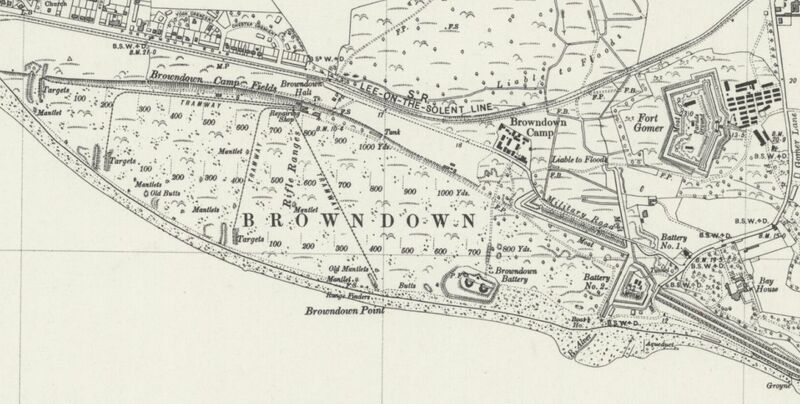 On August 13th 1856 it was reported that the 1st and 3rd Regiments of Light Infantry were encamped at Browndown. Her Majesty Queen Victoria, Prince Albert and the Prince of Wales landed at Browndown and visited the encampment on August 23 1856. By November 1856 the British German Legion had earned a reputation as being a riotous lot and arrangements were made for their departure at the earliest opportunity. They left in November 1856. Two earthen ‘Browndown Batteries’ were constructed to the east end of Browndown at Browndown Point by 1852. These were replaced by the new Browndown Battery on the site of the western battery in 1888. It was updated with two 6inch BL guns in 1904, but disarmed by 1906. After the Legions had departed the area to the south of the Browndown camping ground was used as a rifle range. Volunteers and regular troops used the range for annual training. Troops engaged in practice were quartered at Fort Gomer, the southernmost fort of the Gosport Advanced Lines. The Gosport Volunteers used the range for their annual rifle competition in 1868, firing Sniders. In 1870 the new Martini-Henry rifle was tested at Browndown range. By 1877 a hutted camp had been constructed to the east of the ranges with a road connecting it with the Military Road to the Gomer Elson forts. This was provided for the Royal Marines who prior to this had to march from their barracks at Forton to take part in musketry training. Between 1893 and 1898 1,000 yard ranges and an 800 yard range were established at Browndown fitted with tramways to move the targets into position from the repairing shop and store. On 12 May 1894 Browndown Halt on the Brockhurst to Lee-on-the-Solent railway was added directly opposite the Repairing shop at the ranges. This provided an easy way to move troops between Fort Gomer to the ranges. From 1900 the Royal Marines held their annual shooting cup at the Browndown Ranges. 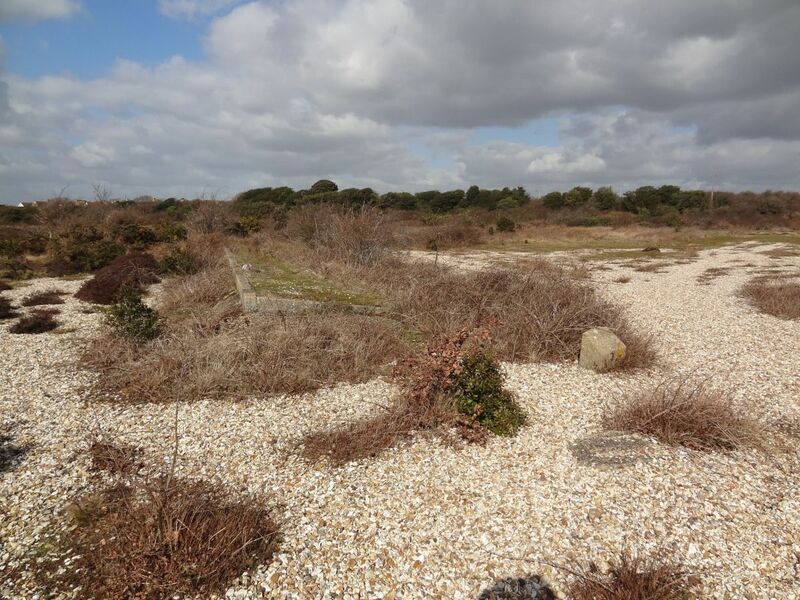 The Browndown ranges and the area to the north of the modern Gosport to Lee on the Solent Road were used extensively to train troops in trench warfare during World War One. Many of the trenches can be seen today. 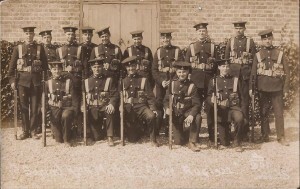 In 1919 The Royal Marines Small Arms School was based at Browndown. In 1942 the Royal Marines Commandos were formed and the R.M. 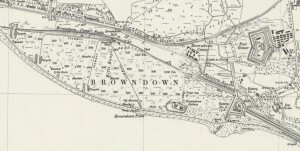 Snipers’ Courses took place at Browndown. The school continued at Browndown until 1957, when it closed. During WW2 Browndown was used as a Royal Marine camp. 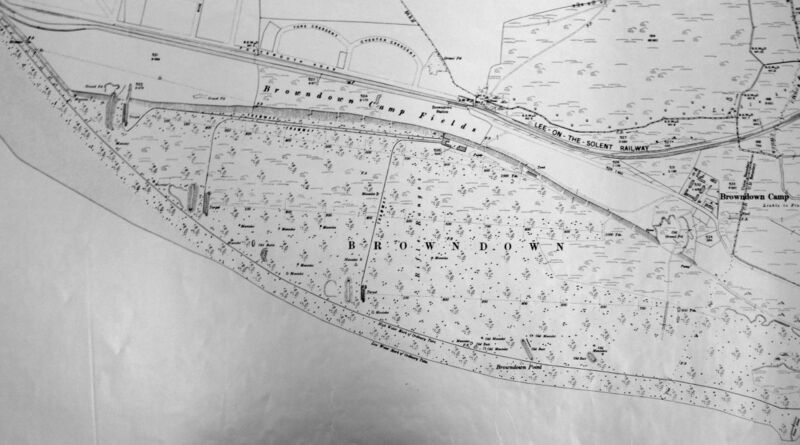 During D-Day it was designated as Marshalling Area Camp A19. 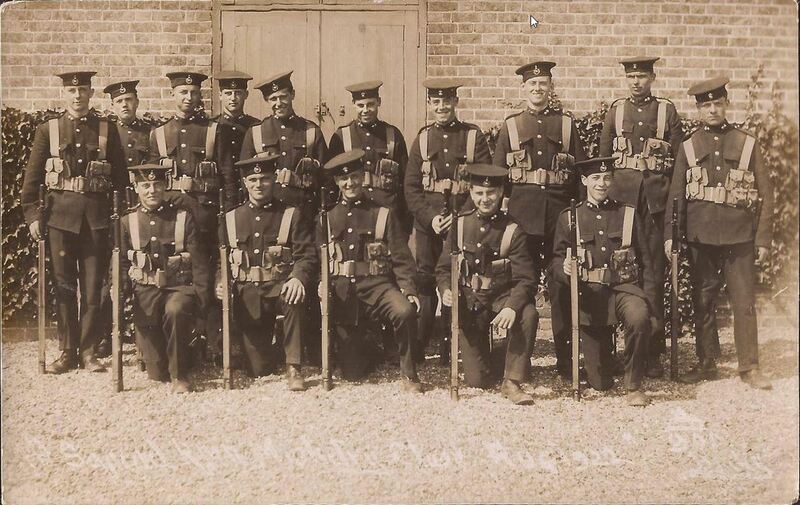 Post WWII the Solent Home Guard Rifle Club and the cadets used the ranges for training and practice. 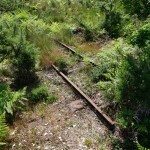 In the mid 1960s the old target tramways were removed and replaced with ex-mine railways. These were also removed in the 1990s. In 1966 ‘Hovershow 66’ was held at Browndown during which the new Vickers hovercraft was displayed to the public. They had expected 3,000 official visitors from 110 different countries. 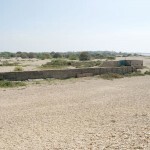 The Browndown Battery and the area adjacent to it was used by the Inter-Service Hovercraft Trials Unit from 1966 to 1974 when it was disbanded. 200 Hovercraft Trials Sqadron (200 Hovercraft Squadron R.C.T. from 1968) was based there using the SRN6-617 hovercraft. 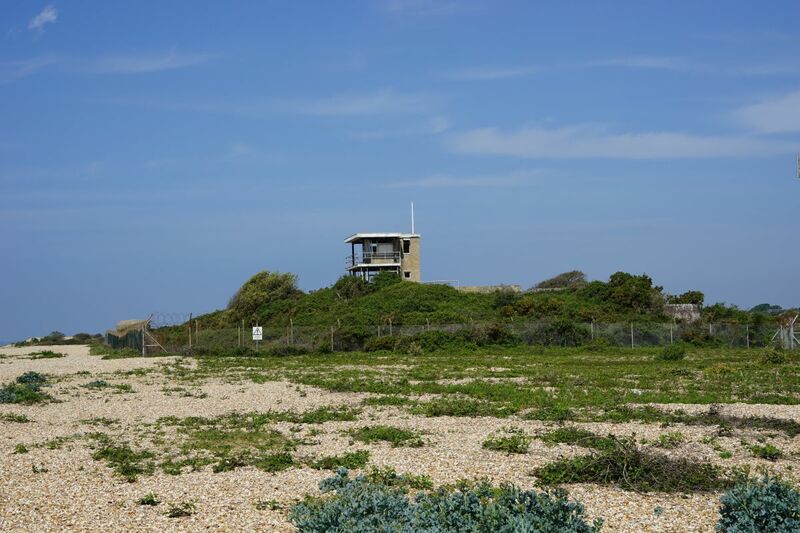 They added a hangar and some ancillary buildings to the north east of Browndown Battery and an observation post on top of Browndown Battery itself. The SRN3 built by Saunders Roe was tested at Browndown by the Inter-Service Hovercraft Trials Unit but was never adopted for service. 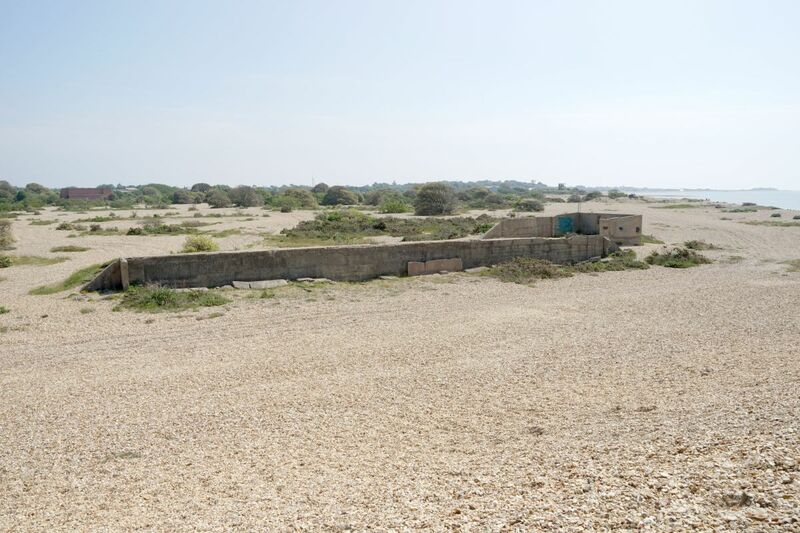 In the 1990s the east end of the site, close to Browndown Battery, was taken on by an Army signals unit, 63 (Special Air Service) Signal Squadron (Reserve), who erected a large High Frequency antennae array on the shingle in front of the hangar. This was used for HF communications from the UK to the Balkans. In 1977 it was reported that live firing was suspended at Browndown for a period of one year but other training facilities were to continue at the range. In 1978 the ranges at Browndown were reopened. In 1987 the Browndown site was designated a Site of Special Scientific Interest by the Nature Conservancy Council. In 1990 Browndown was included in the MOD list of managed conservation areas. The area continued to be used by the Royal Marines, the RLC and Cadets for emergency fuel handling and for on-shore amphibious landings. As part of ‘rationalisation measures’ the Browndown camp became superfluous in 2009 and The MOD put the Browndown Camp up for sale in 2011. They have retained the camping ground and ranges for military use. The ranges area is open to the public when not in use by the military for various day and night exercises, which include amphibious beach landings. The Solent Way Coastal Path follows the shore line through the ranges on the section between Lee-on-the-Solent, and Gosport. 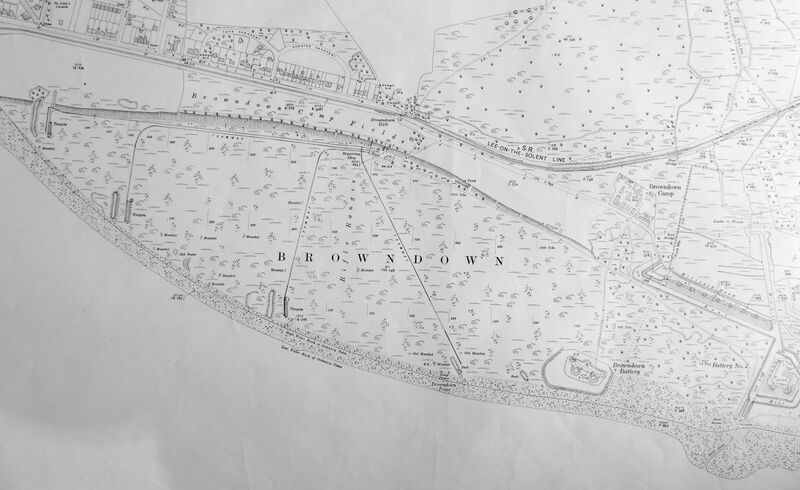 The Browndown site is in an area of archaeological interest and is part of the strategic gap, the area of land from the shoreline up to the Alver Valley. 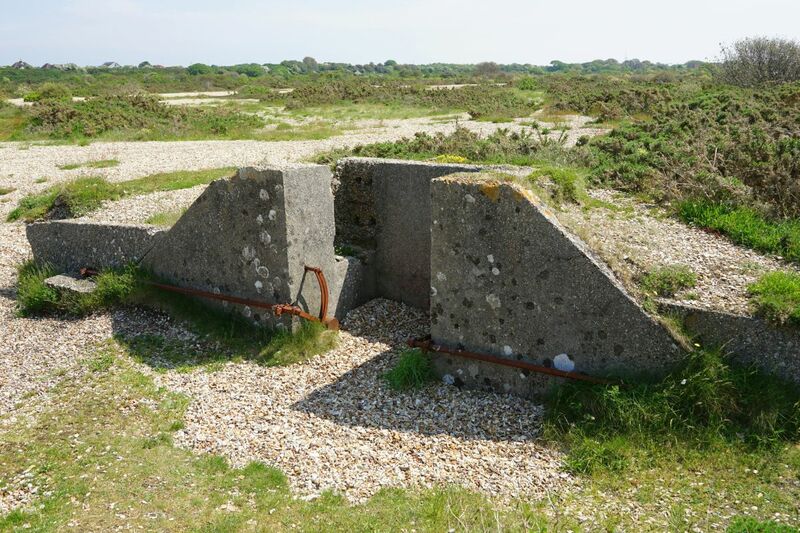 Browndown Ranges: Target Butts control bunker for raising the targets. Browndown Ranges: View back towards Stokes bay looking over the old range buildings. 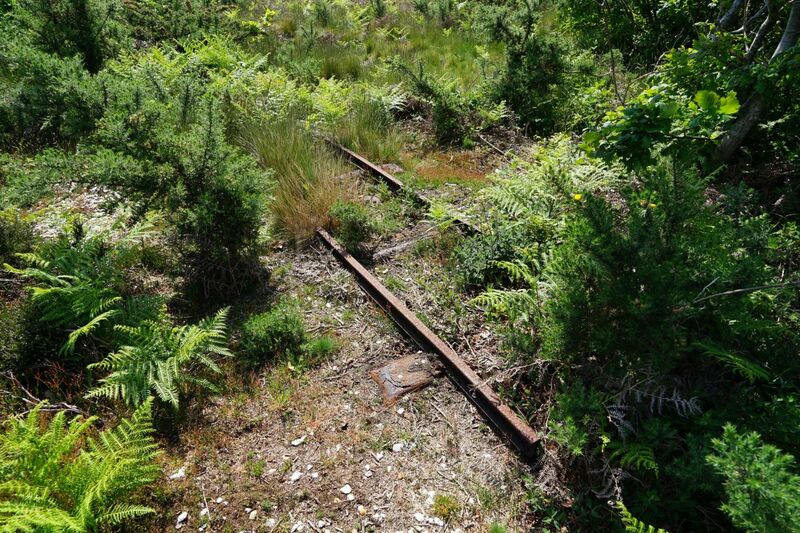 Browndown Ranges: a remaining section of military railway for hauling out the targets. 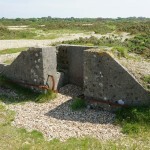 Browndown Ranges: One of the old firing positions for the riflle range. The site also includes Browndown SSSI designated by English Nature under the Wildlife and Countryside Act 1981 to protect flora, fauna, geological or physiological features of special interest. This includes the adjoining retained training area.